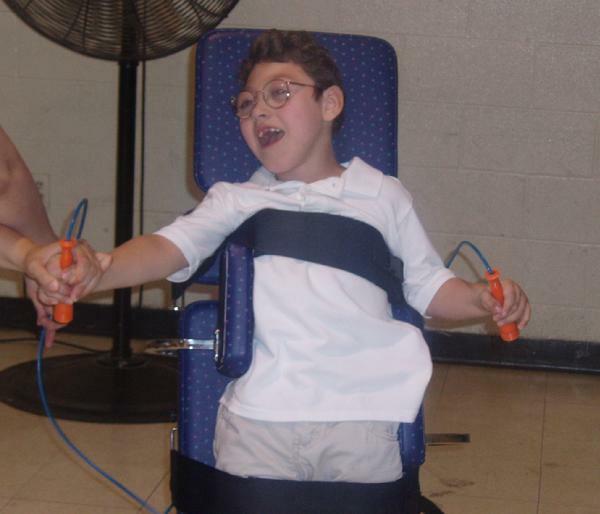 Michael Bangit, III | Families for HoPE, Inc.
Michael Bangit III was born December 21, 2000 and has been diagnosed with semi-lobar holoprosencephaly. Michael’s father was killed in a logging accident when Michael was only six months old. Today, he lives with his mother, Candace Mobley, and his grandparents in North Carolina. Michael is described by his mom as a very happy and social child who lives life to the fullest. Michael’s education level is pre-K to kindergarten level, and he loves going to school. Although he is nonverbal, he communicates through eye gaze, Go-Talk 4 communication board, and Big-Mac switches with symbols. He does say “hey” and “ma” and other sound combinations. 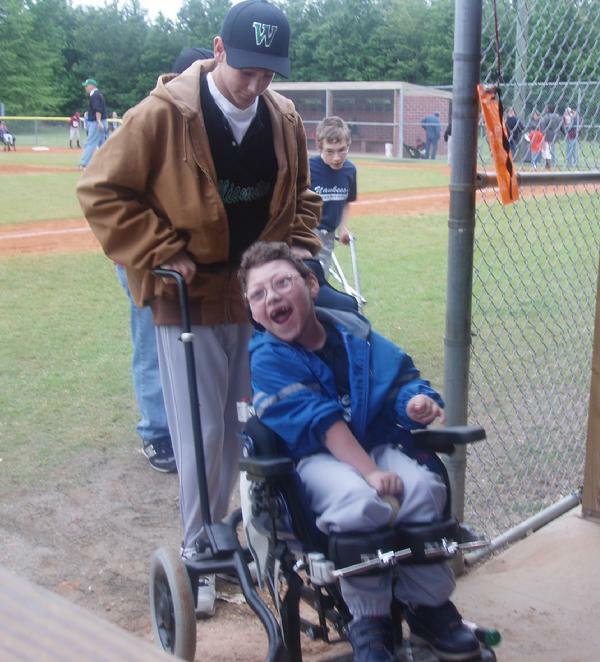 He is challenged by extremely tight muscle tone and dystonia in his arms and legs, but Michael does walk with someone holding him underneath his arms. Michael is a very busy boy with physical, occupational and speech therapies at home and at school. 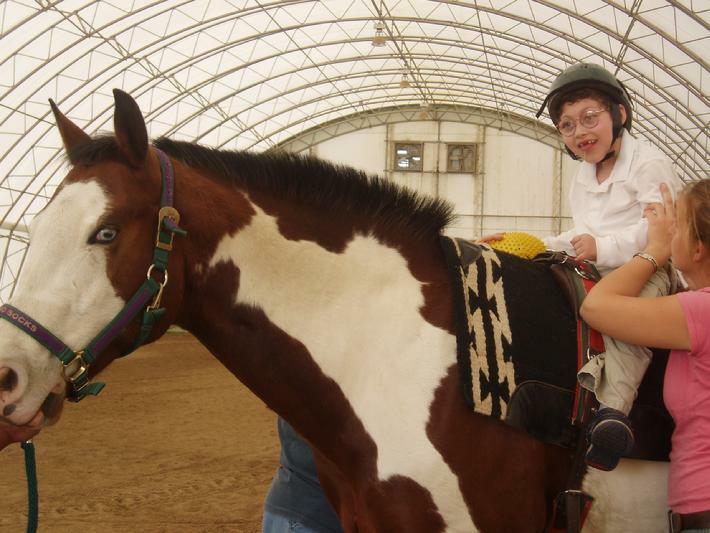 In addition, Michael began hippotherapy this year, and he loves riding his horse “Two Socks”. He squeals and smiles to let Two Socks know that he wants to “giddy-up”. 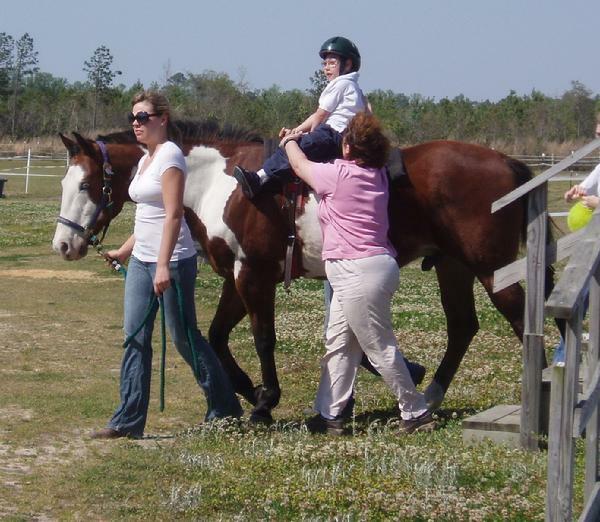 Michael’s mom says that hippotherapy helps Michael to be more relaxed, and he proudly holds his head up while holding the reins! For fun, he plays tee-ball and soccer, and he shows his pleasure by smiling the entire time he’s playing. For Candace, it’s a wonderful joy to watch Michael out on the field with the rest of his teammates and friends. When he’s not playing on sports teams or riding horses, Michael enjoys swinging, playing with his tractors and trucks, remote control toys, and computer. It is a privilege to have Michael and Candace in our HPE Family as Candace is always willing to share her experiences and the hope she has found in Michael. Michael is described as a child who lights up a room, but we know that Michael’s life and his beautiful smile help to light up the world!